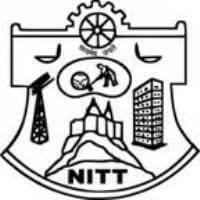 NIT Trichy Recruitment – National Institute of Technology, Tiruchirapalli (NITT) announced notification for Data Entry Operator Trainees, Accountant Trainees, Personal Assistant & Support Trainee vacancies. The detailed eligibility criteria and application process are given below. Proficiency in Computer: Knowledge of Typing and Computer application viz., MS Office. First Class Degree with consistently good academic record. Proficiency in Computer: Excellent skills in Computer application and typing. Experience: At least 5 years’ regular service in an organization and good working performance record. Age relaxation will be followed as per GoI norms. Data Entry Operator Trainees/Accountant Trainees: Based on the performance in Written Test / Skill Test and Interview. Personal Assistant: Based on the records (C.V.) performance and Interview. How to apply NIT Trichy Recruitment 2019? All interested and eligible candidates can attend walk-in-interview along with required documents to following venue on 3 April & 4 April 2019. Venue Date & Time: 03.04.2019 & 04.04.2019 at 9.00 a.m.
Support Trainee – First Class in B.E./B. Tech. in CSE/ECE/EEE/IT from a recognized University/Institution. Software Support Trainee – First Class in MCA from a recognized University/Institution. Excellent Academic Record from a reputed institution. Knowledge in System Administration (Windows / Linux / Mac). Knowledge in Hardware and Software Installation. Knowledge in Website design, HTML. Knowledge in using Email server like Horde client & Linux. Exposure to Programming Languages C, VB, Java, PHP, ASP. Exposure to MySQL, MS-SQL, Oracle. Initial screening and shortlisted will be based on prior academic performance and age. On-line Test – in the areas of Computer Hardware, System Administration, OS, Email, Web, etc. – will be administrated for a duration of 60 minutes. Only those who cross the threshold (to be decided based on the number of candidates appeared and the average score) in the online test will be allowed for the skill/Practical test. Skill/Practical Test comprises Identifying hardware, Basic OS Installation, Email configuring, etc. for a duration of 30 minutes. Only those who qualify in the Skill/Practical test will be allowed for the Personal Interview. Examination Centre: National Institute of Technology, Tiruchirappalli. How to apply NIT Trichy Recruitment 2019-Apply @ www.nitt.edu? All interested and eligible candidates apply for this position in online latest by 25 March 2019. After successfully applying/registering online application, the candidates must take a print out of the filled in online application form, along with required documents to following postal address on or before 25 March 2019.